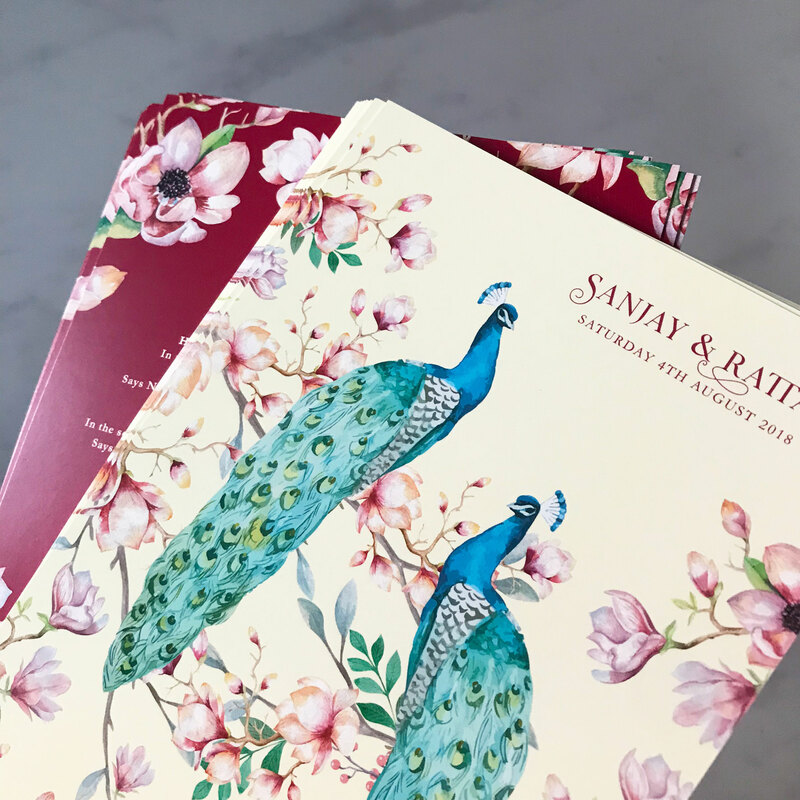 The bird of India is a suite that is quite the contrary to the rich, flamboyant colours of the spectacular peacock, the national bird of India! 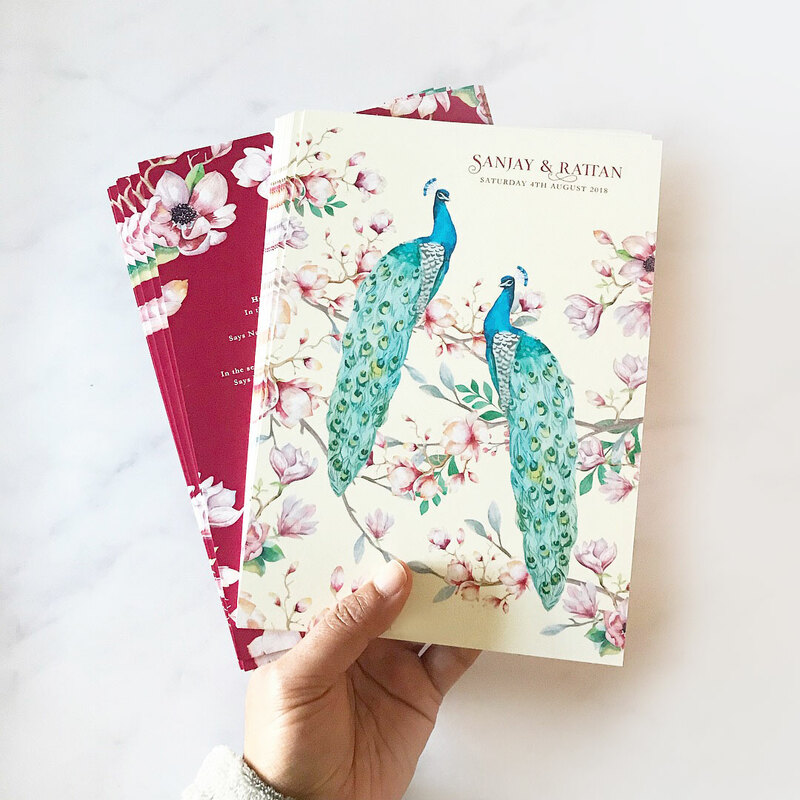 I have always had a love for this bird, full of vivid rich colours, reminiscent of those colour throughout India. 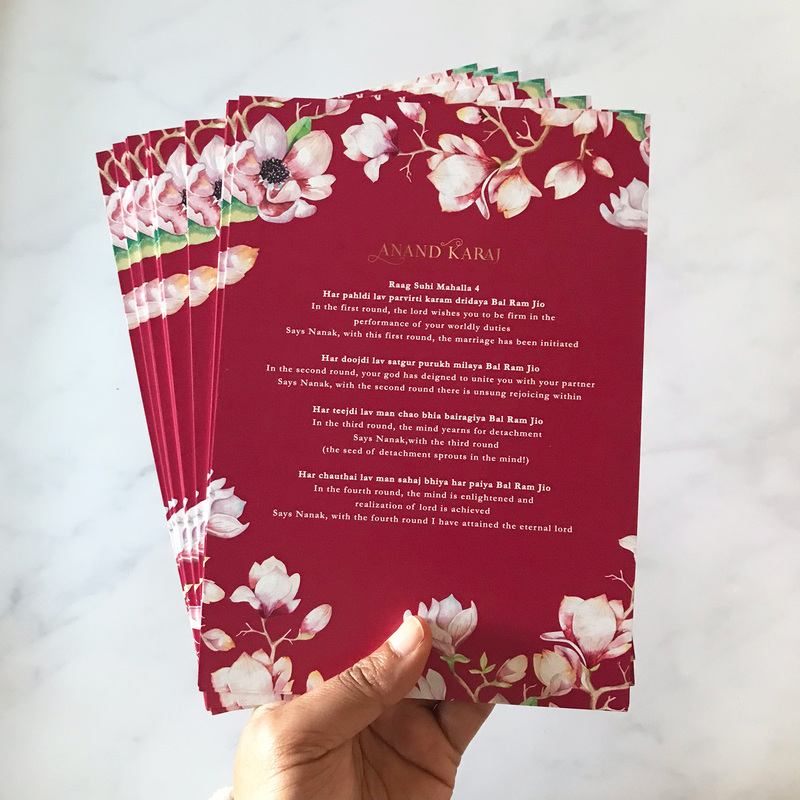 This invitation fuses the rich deep reds of our traditional weddings with the delicate florals of magnolia. 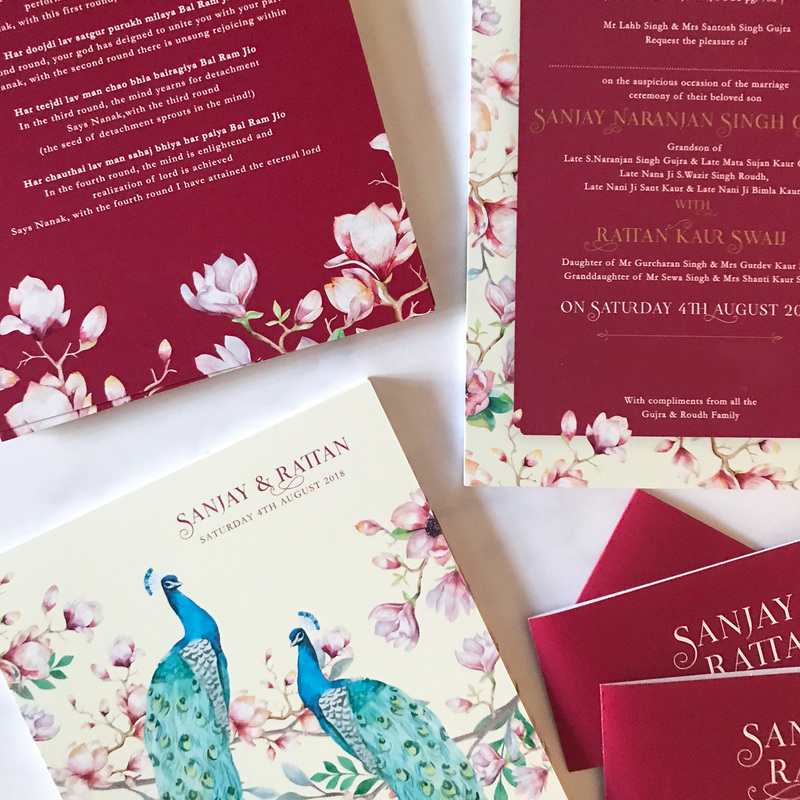 This suite is designed to capture the modern bride or grooms heart, with vibrant Indian colours.